It is my profound honor to extend an invitation on behalf of Ziauddin University organizing committee for the annual conference to be held in February 22nd -24th 2018. 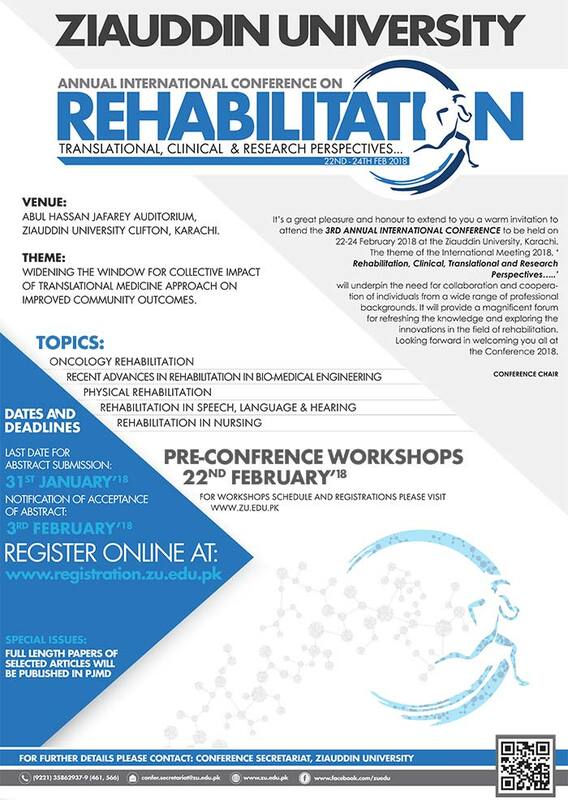 The annual conference will focus on vast areas of rehabilitation perspectives in relation to clinical management and research which are open yet to maximize the untapped resources. We have adopted a multidisciplinary and collaborative approach to further knowledge on health and rehabilitation through high quality innovative research. Look forward in welcoming you all at Ziauddin University in Feb 2018. In this International conference we proudly inform all the participants that we are collaborating and co- hosting this event with Ziauddin University Faculty of Engineering, Science &Technology (ZUFEST), College of Rehabilitation Sciences, College of Nursing, College of Speech, Language and Hearing Sciences along with the medical, Surgical and Allied faculties. The aim is to draw attention from all National and International personnel involved in Rehabilitation. There will be State of the Art lectures, Keynote speakers and multidisciplinary plenary sessions. Moreover, this there will be Preconference workshops conducted by our co-hosts and oral presentations by the young scientists. This will be followed by a 2- day conference with interactive sessions which will provide an in-depth understanding of the advances, practices and critical issues in the field of rehabilitation and bring together Scientist and Leaders in Academia and Health care. 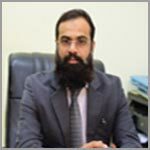 Prof. Mirza is a leading Scientist and Histopathologist in Pakistan with extensive research experience along with teaching and training of postgraduate medical students leading to Masters and PhD in Pathology and in varied subject areas like Anatomy, Radiology, ENT Surgery,Oral Medicine and Pathology etc. She is a Dow University graduate, followed by Masters and Ph.D. from JPGMC in collaboration with Leicester University UK.Retired from Dow University as Meritorious Professor of Pathology after serving in several commanding positions of Dean Basic Sciences, Director Institute of Postgraduates studies, Director Dow College of Biotechnology and Biomedical Sciences. 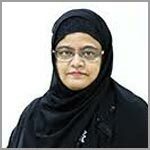 Presently serving as the Dean of Research at Ziauddin University where she is involved in the research activities of faculty and postgraduate students at large. Her major areas of research interest have remained molecular oncogenetic mechanisms and pathways in various tumors with extended interest in Cancer Registration System.Tumor Pathology with a specific probe through the advanced molecular genetic techniques has been explored so far with curative prognostic and therapeutic perspectives.However, the new focusof interest for innovative research in Rehabilitation has emerged due to state of the art infrastructure and facilities for physical therapy and rehabilitation services available at Ziauddin University with commendable registration of three PhDresearch fellows from the College of Physical Medicine & Rehabilitation. Moreover,acquisition of NRPU grant from HEC by College of Speech Language & Hearing has given a great boost to explore the new avenues in this subject area. Thefaculty ofBiomedical Engineering hasfurther inculcated another new horizon of research for exploration through the office of research innovation & commercialization.Medical and nursing care at the ZU hospitals is having rehabilitation strategies as an adjunct in the management process which has given the research department a unique opportunity to explore novelresearch whichis largely unattended at present. Professor and Head of the department of Anatomy, Ziauddin University, Karachi, Pakistan. PhD, the topic being “The role of vitamin D deficiency in mammographic density and epithelial cell proliferation” in the Department of Anatomy Basic Health Sciences. DirectorORIC at Ziauddin university. Consultant General Surgeon. Patel Hospital. Boulevard Hospital. Jamal Noor Hospital. 15 years of extensive Anatomy teaching experience, including 7 years at Aga Khan University Hospital, Karachi and 9 years at Altamash Institute of Dental Medicine Karachi covering the entire range of Gross Anatomy, Histology, Neuroanatomy & Embryology.Successfully organizing & conducting Breast Cancer Screening Camps (2007-2012) Total number of patients screened each camp 200. Positive cases were operated (MRM and Axillary clearance) followed by Chemotherapy and Radiation. Attended three basic and advanced laparoscopic courses, two in Pakistan and one in Al-Ain (Tawam Hospital). PBL (Problem Based Learning) three-day course from Ziauddin University hospital. Attended breast cancer Workshops on MRM and reconstruction at JPMC by Indians Turkish Breast surgeons. Topic for Inaugural Session: Rehabilitation: No Longer the Backend Service in Disease Management. Dr. Wasti is a leading Physical Medicine and Rehabilitation Physician in the region with extensive experience in Neuro Rehabilitation, widely known and respected internationally. He completed his MMBS from Khyber Medical College, Pakistan and moved to the United Kingdom for post graduate studies. He worked in the UK for almost 9 years before moving to the UAE and becoming a senior consultant. He has played a key role in the specialty of physical medicine and rehabilitation in the UAE by developing PM&R and neuro rehabilitation services both in the public and private sector and developing multidisciplinary practices. He introduced a comprehensive approach to the management of spasticity in the UAE and was involved in the introduction of the botulinum toxin in spasticity and insertion of the first baclofen pump in UAE. He has established early mobilization and post critical illness rehabilitation protocols for use in the local population. He is the keynote speaker and his talk will focus on “Rehabilitation: No longer the backend service in disease management”. Medical Rehabilitation is a rapidly developing branch of medicine. Over the past decade it has become an integral clinical care component of moderate to severe intensity illnesses and trauma. Historically, rehabilitation was considered to be a backend intervention that was introduced late in the clinical care pathway, once patients had either become clinically stable or no further improvement was deemed possible. However, the approach has altered significantly and now rehabilitation is offered as an adjuvant treatment, almost from the time of initial presentation. ICU or hyper-acute and acute rehabilitation is now offered routinely in developed health care systems. Also, disease specific rehabilitation such as stroke, spinal cord injury, brain injury, cardiac failure or chronic respiratory rehabilitation has assured that patients are provided rehabilitation alongside acute and sustained medical care. Pre-procedure rehabilitation for bariatric, back, neck and joint surgery is now widely prescribed. In this talk, he will provide reasoning behind early and adjuvant rehabilitation and highlight current available evidence. He will also introduce rehabilitation service development parameters that are essential for establishment of a well-structured and networked rehabilitation service. Furthermore, he will endeavor to promote multidisciplinary operational structure for rehabilitation. His talk will focus on A multi-modal neuroimaging approach to track recovery and rehabilitation in brain structure and function with abstinence in drug addiction.Persistent deficits in the brain’s structural and functional integrity characterize drug addiction. However, it is unclear whether these deficits recover with protracted abstinence in individuals with cocaine use disorders (iCUD). In this talk, I will present data from three different studies. The first study longitudinally quantified changes in brain structure and function using MRI and EEG techniques in 19 iCUD between baseline (4 – 6 weeks of abstinence) and a 6-months follow-up. The second study cross-sectionally tracked drug-cue reactivity in 76 iCUD with varying abstinence duration (2-days, 1-week, 1-month, 6-months, and 1-year). The last study examined self-regulation of drug-cue reactivity in 37 iCUD using EEG and eye-tracking. At follow-up, compared to baseline, iCUD showed: 1) increased grey matter volume in the vmPFC and the left IFG, which correlated with improved Wisconsin Card Sorting Task performance; 2) higher task activation in the midbrain, which correlated with reduced simulated cocaine choice; 3) increased reactivity to pleasant pictures but no difference in drug-cue reactivity. In the cross-sectional study, drug-cue reactivity revealed a parabolic inverted U-shaped trajectory with increasing abstinence duration (highest at 1- and 6-months). Results further show that iCUD can self-regulate cue-reactivity, which in turn lowers the drug-cue-related attention-bias. With these results, we have strived to show that psychophysiological and neuroimaging-based biomarkers can elucidate abstinence-mediated recovery in brain structure and function, a non-linear trajectory of drug-cue reactivity, and its self-regulation with associated spontaneous modulation of drug-cue-related attention-bias. These results call for development and application of more sophisticated neuroimaging methods to objectively track disease prognosis and treatment outcomes in drug addiction. Cristina Urdiales earned a master degree in Telecommunication Engineering in the Universidad Politécnica de Madrid (UPM), a doctorate in Robotics in University of Málaga (UMA) and a second doctorate in Artificial Intelligence in Universität Politécnica de Catalunya (UPC). She is full professor in the department of Electronic Technology (UMA), where most of her classes focus on microcontrollers, autonomous control and data processing. Her research is mostly focused on assistive robots, in particular shared control for wheelchairs and walkers. She has an intense activity in technology transfer and also in scientific dissemination to the general public. Her talk will focus on how assistive robots can be adapted for user needs in order for them to carry out Activities of Daily Living (ADL) where Personal Care Attendants (PCA) may not be present. Mobility is a key factor to cope with Activities of Daily Living (ADL). When experienced personal care attendants (PCA) are not possible, assistive robots may provide a solution. Mobility assistance for navigation is typically based on the shared control paradigm. Traditionally, control swaps from user to machine depends either on a trigger mechanism or on an explicit user request. Alternatively, in collaborative control approaches both user and robot contribute to control at the same time. However, in this case it is necessary to decide how much impact the user has in the emergent command: whereas too little assistance may lead to failure in ADL, too much assistance may lead to frustration and loss of residual skills. Assistance needs to be adapted to each specific user needs. This talk will focus on how these needs may be estimated and used to modulate the amount of assistance a person receives when using an assistive mobility device under the shared control paradigm. 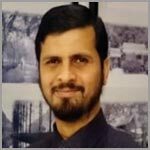 Prof. Abdul Rahman bin Syed Abu Bakar has completed his BSc from Clarkson University in USA and his Masters in Electrical Engineering from Georgia Institute of Technology in USA. He then went on to complete his PhD from University of Bradford in the UK and now is a Professor in the Faculty of Electrical Engineering at University Teknologi Malaysia. His talk will focus on Human Action Recognition. The general existing framework on HAR will be presented with details on features extraction and descriptors used, followed by the current trend of implemented classifiers. The attention would then be given to utilizing HAR for the elderly care, touching on issues and therefore opportunities implementing such system for the elderly care application. 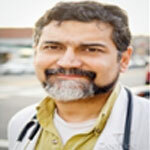 Dr. Asim is an influential Psychiatrist with vast experience in mental health science. After completing her MBBS from Sindh Medical College, she went on to completing her residency in General Psychiatry at the Metropolitan Hospital Center in New York and Fellowship in Child and Adult Psychiatry at the Robert Wood Johnson University Hospital in New Jersey. Dr Asim presently works as an attending physician in various renowned hospitals in NJ, including Princeton and Rutgers Behavioral Health Care. Her talk will be based onnumerous neurodevelopmental disorders and genetic malformations like Down’s syndrome, Fragile X chromosomes, Cerebral Palsy and other genetic malformations with intellectual disability and severe impact on the dynamics of the family. The talk will be centered on the key issues parents go through when upbringing children with special needs and ways to deal with it. Educating the families to understand the functional limitations of these children and how to make these children’s life more productive along with ways to overcome your own anxiety and frustrations. Braxton Baker has a Master of Science degree in communication sciences and disorders specializing in speech-language pathology, is a Board-Certified Behavior Analyst (BCBA) and a life coach. In addition to his credentials above he has pursued additional education in counseling psychology, academic instruction, and sensory motor integration to further develop a whole person approach to growth and development. Mr. Baker has worked with a wide variety of populations and diagnosis around the country with emphasis in severe and multiple disabilities and assistive technology including augmentative and alternative communication. His continued education has drawn him to further focus on accessing cognitive development across the life span and its effects on learning and social interaction. 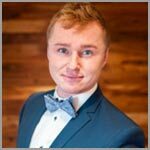 He is the owner of Innovative Therapy Solutions LLC specializing in taking a wholistic, big picture, approach to coordinating the home, school, and outside services, to achieve maximal continuous growth for the individuals he works with. The talk will be based on Empowering the Family/Team to Make the Difference as there are approximately 112 potential hours for learning. No one person, parent, teacher, therapist etc can be there for all of them, but SOMEONE from the team will be there for most of them. Leveraging EVERY member of an individual’s team to be an agent for change can exponentially increase the amount of progress achieved. Naheed Kapadia is a senior specialist Pelvic Floor Physiotherapist at Dubai Health Authority Latifa Women & Children Hospital. She trained at Liaquat National School of Physical Therapy and qualified BS PT. Thereafter, she developed a special interest in Pelvic Floor Rehabilitation at Aga Khan University Hospital under the guidance of Professor Dr. Raheela Mohsin obtaining clinical attachment as Pelvic Physiotherapist 2005. She did her Pelvic Floor fellowship from KK Women’s and Children Hospital in Singapore and obtained Doctor of Physical Therapy and certification in advanced Pelvic Floor Dysfunctions from UK. Naheed Kapadia was appointed as a First Women’s Health Rehab Coordinator and has developed pelvic floor physiotherapy clinic at Aga Khan University Hospital, with 12 years’ experience working in the specialty. She is an active member of IUGA, ICS & a founder member of PUGA.She is a pioneer in training on job women’s health as a sub specialty in Rehabilitation Sciences. 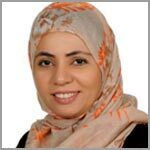 She developed the Specialty with Joint Review Clinics for the first time in Dubai Health Authority. She is maintaining a diligent and productive tertiary referral for all pelvic physiotherapy cases at Department of Physiotherapy and Rehabilitation at Latifa Women & Children Hospital Dubai. She has a large clinical workload dealing with complex Urogynecologist, urological and colorectal conditions. Her talk will highlight the rehabilitative approach in management of pelvic floor in women suffering from urinary incontinence. Physical therapy intervention has been reported to be the baseline treatment modality for UI and the effectiveness of physiotherapy is increased if the rehabilitation program is based on guidelines developed during the previous three decades. The plan of physiotherapy care should be developed as a customized routine for each woman and should include standard physiotherapy intervention. 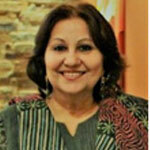 Dr Shams is currently the Associate Professor & Chairperson of Biomedical Engineering at ZUFEST, Ziauddin University. He has completed his Ph.D. from Turkey in Biomedical Science and Engineering and obtained his MS in Mechanical Engineering from Seoul South Korea. 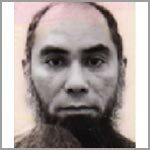 He is a member of the Korean Society of Precision Engineering and Pakistan Engineering Council. His topic of presentation isanthropometricprosthetic hand for rehabilitation of upper limb amputees.An artificial hand or prosthesis is a device used by the amputee to replace his/her missing limb or limb portion. The prosthesis improves the life of the amputee by allowing them to perform activities of daily life without anyone’s assistance. This dissertation describes the designing, mechanism analysis, FEA simulations, experimental analysis. the control scheme and development of a linear actuator based anthropomorphic prosthetic hand(MARCAPH) for trans humeral or near-elbow amputees. The MARCAPH comprises of 4 underactuated fingers with four bar mechanisms, driven by the linear actuator through slider crank mechanism and a thumb driven by the linear actuator using slider crank mechanism. Each finger is derived individually by a linear actuator to perform the flexion-extension motion. On the other hand. the thumb is controlled by 2 actuators, one for circumduction and one for flexion-extension. The MARCAPH mechanism is analyzed using MATLAB and then design in a CAD soft-ware. The Design CAD model of the finger and thumb is then simulated using FEA software.The final design passes through a number of modifications and redesigning before achieving desired ruggedness, clearance, and interference, in order to produce the grips that are essential for activities of daily living (ADL). The prosthetic. hand is then 3D printed, assembled and experimented under predefined conditions to ensure that the 3D printed hand is capable of performing the simulated grips. Each grip of the prosthetic hand is achieved by using position control algorithm underneath the finite state machine, that is, controlled by 2 channel differential EMG electrodes placed on the biceps and triceps muscles of the amputee’s arm. This dissertation also covers the design process, kinematics, and control scheme developed for the MARCAP H. Moreover, in the last chapter, a brief comparison is provided between the MARCAPH and available state of the art prosthetic hands data. Mohsin Tiwana received his B.E. degree in Mechatronics Engineering from National University of Sciences and Technology (NUST), Pakistan, in 2007. For his pioneering work on artificial limb design, he was given the presidential award. He received his Ph.D. in Biomedical engineering from University of New South Wales (UNSW), Sydney, Australia and won Global Innovation award in 2012. In 2013, he was awarded the prestigious Technology Transformer of the Year award by CRDF Global, USA. In 2015, he was conferred with National Excellence award as well as the Presidents Gold Medal for Innovation & Commercialization. Dr Tiwana has been a guest speaker at Harvard, MIT, Stanford and many other prestigious organizations. His research interests lie in tactile sensors, wireless network systems, myo-electric prostheses and minimally invasive surgery robots. The talk will also focus on the challenges faced and the future directions.The prevailing security situation in the Pakistan and war against terrorism, various natural calamities, accidents, congenital defects and removal of limbs due to disease, have led to a number of amputees who need to be rehabilitated using functional prosthetics. The talk will focus on the prosthetics indigenously developed by Department of Mechatronics, National University of Sciences and Technology, Pakistan. The first part of the talk will focus on the core technology, the second on results and finally some success stories will be presented. Topic for Plenary Session: Determining the Potency of Cardiac Rehabilitation Phase II in CVD Patients with Co-morbidities. 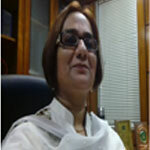 Ms. Sumaira Imran Farooqui is the Associate Professor and Principal of Ziauddin College of Rehabilitation Sciences. 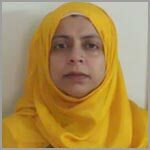 She is the Editor of Pakistan Journal of Rehabilitation and Chairperson of Board of Studies Rehabilitation Sciences, Ziauddin University. Her talk will be based on identifying the potency of Cardiac Rehabilitation in cardiovascular disease patients.Cardio vascular disease accounts for highest rate of mortality and morbidity, situation further worsen with the presence of co morbidities such as hypertension, diabetes mellitus and dyslipidemia leading to considerable toll on individual, society and health care system. Cardiac Rehabilitation is a cost-effective outpatient secondary prevention program that has shown to increase survival and improve quality of life among the said community. Dr. Darain is the Principal of Institute of Physical Medicine and Rehabilitation Khyber Medical University Peshawar. He has completed his PhD in Physiotherapy from Queen Margaret University in Edinburgh. He obtained the startup research grant funded by HEC in 2016 and has a number of research publications to name. He is in the Board of Directors of Physical Therapy Association. The talk based on how the role of physical therapy has expanded to new paradigms becoming an integral part of health care system in developed countries. It involves not only rehabilitation but also prevention and diagnosis. Physical therapy is not limited to a single system of human body. In fact, physical therapists closely work with practitioners in cardiology, oncology, orthopedics, gynecology, neurology and neurosurgery. 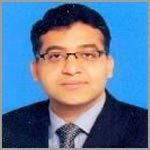 Dr. Farooq Azam Rathore is the H.O.D and Consultant in the department of Rehabilitation Medicine at PNS Shifa, Karachi and an Assistant Professor in Rehab Medicine at Bahria University Medical and Dental College. He is also a board member of International Rehabilitation Forum and has conducted many workshops on different topics. He has completed his fellowship in Physical Medicine and Rehabilitation and Masters of Science in Pain Medicine. The talk will be based on how amputee rehabilitation can lead to successful and complete community re-integration. Pakistan army is providing comprehensive amputee rehabilitation services to those who sustain a limb loss. However, certain barriers can hinder the rehabilitation process and it is important to identify and remove these barriers for better functional outcomes in amputees. This is because many soldiers and officers of Pakistan army have suffered major limb loss in the war against terrorism. Prof.Dr. Muhammad Naveed Babur is an active Entrepreneur in Rehabilitation Sciences. He is the first ever Ph.D. in the field of Rehabilitation Sciences in Pakistan and is currently the Principal of Isra Institute of Rehabilitation Sciences, Islamabad. He is also the Director of International Academy of Rehabilitation Science Education & Research. 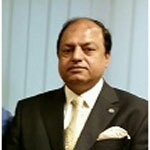 He is the Secretary General of Pakistan Society for Neuro Rehabilitation (PSNR), Pakistan. He is Founder & Member Board of Directors, Pakistan Physical Therapy Association (PPTA). He is Member National Curriculum & Revision committee, Physical Therapy, Higher Education Commission of Pakistan and Editor in Chief of International Journal of Rehabilitation sciences(IJRS) and Rehab Times,Pakistan. 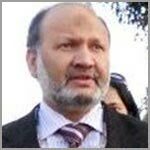 He is chairman National Rehabilitation Conference (NRC) & Neuro Rehabilitation Conference, Pakistan Since 2012 and has 35 research Publications and one book on his credit.He completed his Doctor in Physical Therapy from Riphah University, Islamabad and completed his Fellowship in Neuro Rehabilitation from Seoul National University, later obtained his PhD in Rehabilitation Sciences from Isra University, Hyderabad. The talk based on Unfortunately in developing countries due to other constraints this part of health care is still neglected. There are multiple reasons behind it which include lack of clear vision, organizations are not sure what they want from a multidisciplinary team.The benefits of multi-disciplinary team cannot be denied in developing countries barriers to development of multidisciplinary team are huge. We need to step forward to develop interprofessional skills and play our role in development of multidisciplinary teams so that our patients and team members get benefit from this approach. An effective multidisciplinary team functioning at a high level should establish. Dr. Syed Shujaat Husain is a Primary Care Doctor and Cardiologist who takes great care in monitoring his patients’ health. From arrhythmia and artery disease to echocardiogram and angioplasty – Dr. Husain tends to all of his patients’ needs, using only the most advanced techniques and equipment. He specializes in preventative services such as cancer screening, blood-pressure management and flu shots and vaccines, and maintains three convenient locations in New York and New Jersey. 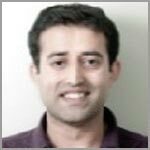 Dr. Husain prides himself on his friendliness, compassion, and punctuality. He is pleased to speak with patients in English, Spanish, Urdu, Hindi and Arabic. The talk based on Cardiac rehab in normal ejection fraction patients, i.e. HFPEF, Diastolic dysfunction. HFPEF now comprises at least half of all patients diagnosed with heart failure, and their functional impairment is profound, and similar to those with HFREF. CR (cardiac rehab) has a great potential to improve the morbidity of those with HFPEF. Importantly, HFPEF is often associated with comorbidities, such as obesity, diabetes, hypertension, and peripheral arterial disease. Each of these comorbidities has been proven to improve with exercise, and there is optimism that formal CR, with structured exercise, will be substantially beneficial to this expanding population of patients. CR for those with coronary artery disease, has extensive evidence base on the one hand and the pervasive and persistent underutilization on the other hand; we should not let this historic phenomenon repeat in HFPEF patients. 15 years of extensive Anatomy teaching experience, including 7 years at Aga Khan University Hospital, Karachi and 9 years at Altamash Institute of Dental Medicine Karachi covering the entire range of Gross Anatomy, Histology, Neuroanatomy & Embryology. Successfully organizing & conducting Breast Cancer Screening Camps (2007-2012) Total number of patients screened each camp 200. Positive cases were operated (MRM and Axillary clearance) followed by Chemotherapy and Radiation. Attended three basic and advanced laparoscopic courses, two in Pakistan and one in Al-Ain (Tawam Hospital). PBL (Problem Based Learning) three-day course from Ziauddin University hospital. Attended breast cancer Workshops on MRM and reconstruction at JPMC by Indians Turkish Breast surgeons. The talk based on Breast cancer and mortality are inversely related. It is the leading cause of mortality and morbidity affecting nearly 1.38 million new cases and nearly 458,000 deaths globally. Any healthy adult female can be a victim, whether she is premenopausal or postmenopausal. However, breast cancer death rates are higher in premenopausal women. No matter what the age is, breast cancer survivors are affected by the outcome. As a result, their ability to get back to a normal life and how to face social and psychological stress which, are part of their daily routine is hindered. Once diagnosed, the patient goes through a multi-disciplinary approach for staging as well as for treatment. Surgery can be both conservative as well as advanced such as modified radical mastectomy, due to the fact that disease free survival rates are equal in both these types of patients. Chemotherapy can be neoadjuvant or adjuvant, depending upon the stage of the disease. Radiation depends upon the number of lymph nodes positive. In the end, Tamoxifen in premenopausal women and aromatase inhibitors in postmenopausal women are given as hormonal manipulation for the treatment of metastatic breast cancer. Moderate evidence is available for ambulatory MD rehabilitation in producing short-term gains at the levels of participation, psychosocial adjustment and quality of life after breast cancer treatment. There was no evidence available on functional gains at the level of activity and impairment. 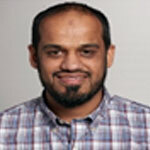 Dr Chaudhry is Consultant in General Adult and Learning Disability Psychiatry. 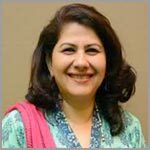 She is currently the Chief Executive Officer Pakistan Institute of Living and Learning and head of Psychological Services at Remedial Centre Hospital in Pakistan. Before this she was a consultant psychiatrist at Greater Manchester West and Hon. Senior Lecturer at the University of Manchester and Royal College of Psychiatry Post Graduate Tutor for Northwest Deanery. Her main research interests are in women’s mental health, cultural psychiatry and Global Health. Her research is related to the aspects of cultural psychiatry which are not only contributing to address the huge Mental Health Gap (MH-Gap) in the low and middle-income countries (LAMIC) but have become increasingly important for the appropriate development and delivery of psychiatric services in the UK. 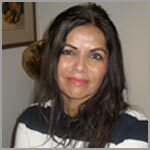 She has been actively involved in the research development and evaluation of culturally adapted psychosocial therapies, both in the UK population and in Pakistan for psychosis and depression including post-natal depression. The work, in collaboration with colleagues at the University of Manchester, involves developing manuals and training courses for health workers such as nurses, psychologists and doctors. 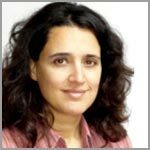 She has received research grants from prestigious organizations, which include MRC, NIH-R, CIDA, SMRI, DFID and Grand Challenges Canada; this includes two recent prestigious grants. The talk will be based on her research which explores whether culturally adapted manual assisted problem-solving therapy (C-MAP) results in reduced repetition of self-harm in patients with a history of self-harm along with exploring the experience of participation in culturally adapted intervention (CMAP) and therapists’ and clinicians/GPs views and perception about phenomenon of self -harm. Ms. Amina is the Principal of Ziauddin College of Speech and Language Therapy. 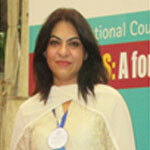 She was a consultant speech and language therapist at REAdyslexics Karachi and ACELP. 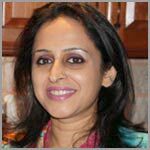 She has completed her MSc in Clinical Research from Liverpool UK and has Diplomas in Psychology and Children’s Studies along with a number of publications till date. Her talk focus onthe treatment of communicative impairments in children and adultsby using new tools and mobile applications. The effectiveness and efficacy of computer software and mobile applications has been proven by literature because of the greater interest taken in such activities and games which in turn also increases the attention and focus of both children and adults when using the material being presented in the activities. There is a higher degree for stimulation and consequently more response opportunities for the patient such as more imitations, repetitions or spontaneous responses. 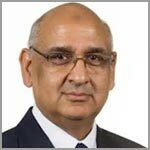 Dr. Hussain is currently the Professor/Dean & Director General of Hamdard University. He completed his PhD in Pharmacy Practice in 2012 from University Science Malaysia and his Master of Pharmacy in Clinical Pharmacy in 1998 from University Science Malaysia. He leads the faculty of Pharmacy in strategic planning activities to further thefaculty/university mission in teaching and research. He has a number of publications to date along with two book chapters. He will be talking about the management of chronic illness, lifestyle modifications and drug therapy. Patient understanding regarding the illness plays a very important role in management of chronic illness. Effective patient counseling makes the patient understand his/her illness, necessary lifestyle modifications and pharmacotherapy in a better way and thus enhance patient compliance. The pharmacist has immense responsibility in counseling the patients with chronic illness such as diabetes, hypertension and asthma. The role of pharmacist has been changed from drug manufacturer and drug seller to a patient counselor at present. Pharmacists are playing vital role in management of chronic diseases worldwide. They are easily accessible to patients and health care providers. Pharmacists can play a role in patient identification, assessment, education, referral, and monitoring. Pharmacist provided patient counseling regarding disease, medications and life style modifications might be considered as an important element in implementing the chronic disease management program which can improve outcomes of therapy. This can also increase patient interest and also helps in managing problems of patient by involving them. Pharmacists work with other members of the healthcare team and can refer patients’ chronic disease related issues to them. They are in a position to provide early detection of chronic diseases, can identify unhealthy life styles and help to reduce risk factors through counseling regarding appropriate preventive measures. 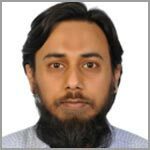 Dr. Khalid Saeed Bukhari has 29 years of augmented experience at national, international and UN agencies at senior management and decision‐making level in drugs manufacturing, drug management, implementation of drug regulations and pharmaceutical development plans. Dynamic work experience during the last 10 years with World Health Organization as Country Advisor on medicines, and constant interface with Drug Regulatory Authority of Pakistan (DRAP) and health departments of all provinces. Holds a Bachelor’s degree in Pharmacy, Master’s degrees in Pharmacy and M. Phil in Pharmacy. The fellowships include: at Singapore General Hospital, the Royal Hospital for Sick Children at Glasgow, and Rotherhm District General Hospital, South Yorkshire, UK. Member and Vice President of Pharmacy Council of Pakistan, as well as member of statuary body of Pharmacy Profession in Pakistan. 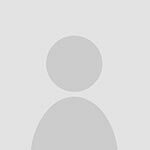 Introducer of Pharmacyeconomics in Pakistan for effectiveness of management of essential medicines. Provided training to approximately 600 personnel of MOH/ health departments on the Essential. Medicines and Surgical Supplies Management at district level and at 1st level healthcare facilities. Before 18th amendment to the constitution of Pakistan permanent inter-face of WHO with the ministry of health for medicines and pharmaceutical policies. Liaise with Drug Regulatory Authority of Pakistan on regular bases. Served as Team leader of WHO essential medicines team for essential medicines management during emergencies of earthquakes and massive-floods. Keynote Speaker at many national and international forums, on Pharmaceutical Policy, Pharmaceutical Regulations, WHO prequalification Program, Rational Use of Medicine, Essential Medicine Concept& Pharmaceutical Care. He will talk about the role of pharmacist working in a rehabilitation recovery program to influence emphatically the physical and mental health of the recouping individual by going up against typical associated responsibilities of pharmacy practice.About 70% of the Pharmacists working in hospitals are responsible for the provision of medication and 30% are involved in counseling regarding medication use. Previous researches haveconcluded the fact that clinical drug specialists distinguish and intervene clinically the medication related issues and that doctors recognize and follow up on the clinical Pharmacist proposals for interventions for the patients with drug abuse. Dr. Nizam is the Director of the Burns and Plastic Surgery Unit at Patel Hospital Karachi. 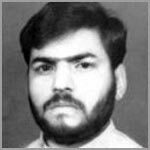 He was an Assistant Professor at Ziauddin University and a Consultant Plastic Surgeon in the UK. After completing his Fellowship in General Surgery in 1989, he took Plastic Surgery as his field for further specialization and has worked in eight different units in the United Kingdom. He has performed surgeries for congenital defects, burns patients, head and neck cancers, cosmetic and hand surgeries. He will be talking about the Surgical treatment of oral cancers and their reconstruction effect on both forms and function. It also reflects success of our reconstructive efforts. Successful surgical rehabilitation of oral cancer patients depends on site and size of tumor, structures involved, volume, surface area and composition of flaps used and its designing and orientation. Free flaps are superior to loco regional flaps in this regard as loco regional flaps usually unable to fulfill requirement of good form and function in oral cancers. Post-operative management is also part of surgical rehabilitation and play important role in outcome. 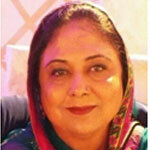 Ms. Alia Nasir is currently Associate Professor and Principal of Ziauddin College of Nursing. She is also a part of Head, Aman Community Health Programme Aman Health Care Service, Aman Foundation, Karachi, Pakistansince 2013.She did MA Education, Health Promotion and International Development from Institute of Education, University of London. Dissertation on “Children’s social capital: child rearing practices of women with children under three years in Sindh, Pakistan.She also did Bachelors of Science in Nursing from the Aga Khan University School of Nursing. Majors in Community Health Nursing: Initiating a Continuous Quality Improvement at Family Health Program, Rahimabad, Aga Khan Health Services, Pakistan. The talk will be based on within different phases of treatment modalities, rehabilitation plays a vital role in patient care; while nursing rehabilitation is specifically a philosophy of care. Nurses in this specialty, assist individuals with disabilities and chronic illnesses to attain and maintain their maximum function. Within the nursing profession, rehabilitation nurses fill many roles. They work as staff nurses, clinical nurse specialists, case managers, researchers, educators and administrators. The scope of rehabilitation nurses is not only limited to the comprehensive inpatient rehabilitation units but also to the clinics, outpatient facilities, home health care, community and health maintenance organizations, even schools and universities. Prof. Karmaliani is a Public Health Nurse with Health Systems background, having more than 28 years of experience working with community health nursing and development. Her focus of research over the last decade is addressing the issues of Gender Based Violence, Women Empowerment and Mental Health. She is a Global Network Research Unit Scholar of NICHD and funded by NIH, DFID, Global Affairs Canada, and Gates Foundation. Prof. Karmaliani has numerous publications in this area and has supervised more than 40 graduate students. Prof. Karmaliani has around 28 years of experience in working as community health nurse, educator, director and faculty of the undergraduate and graduate programs in Nursing and Health Policy Management. She has also served as Interim Dean for 3.5 years at the School of Nursing and Midwifery at Aga Khan University, Pakistan. She has worked with multidisciplinary teams at institutional, national and international levels such as her work in developing research and policy unit in Afghanistan, and educational programs development in Syria and Egypt are her meaningful contributions to Nursing at the regional level. As a founding member and advisor of STTI-Rho Delta chapter-Pakistan, which is the first chapter in Muslim country in the region, she promoted the research culture and led a thematic research group around women empowerment, gender and health. Her current work for over a decade is engaging with marginalized communities specially women, adolescent and child health, mental health and violence against women and girls and its intergenerational effects on children. The talk will be based on the role of rehabilitation to link and provide care to the people with disabilities. However, the role is not only limited to hospital setting, but equally essential in communities. After discharge from hospital, patients may require continued support and assistance in using new skills and knowledge at home and in the community. Therefore, the role of nurse in community based rehabilitation service is to implement and promote rehabilitation activities at the community level and to facilitate referrals to access more specialized rehabilitation services. Moreover, there is an emerging need for nurses to conduct researches in this area. She is the part of Founder Trustee, Speech-Language Pathologist & Educational Consultant. HumQadum Foundation, Karachi Pakistan. Established a trust to work on the integration of children with special needs into mainstream educational environments, conducted teacher training workshops, established individualized education programs and monitored the delivery of these programs, conducted parent training and community awareness workshops at different organizations, institutions and schools. The talk will be based on in 2017, MAITS, U.K. (Multi Agency International Training and Support) collaborated with four leading organizations in Pakistan, (Ziauddin University, Aga Khan University Hospital, ACELP Institute of Child Development and MEANS Institute of Autism and Slow Learners) to launch a first of its kind Community Health Worker Training Program specializing in Working with Children with Developmental Disabilities and their Parents. In October 2017, MAITS, U.K. provided a four-day intensive workshop to a multi-agency, multi-disciplinary team, creating a core group of six Initial Master Trainers on the MAITS Community Health Worker training materials (the “MAITS Community Health Worker Materials”) in Kathmandu, Nepal. This core group of Initial Master Trainers have been working with MAITS on the rollout plan of this first Training Program due to be completed by May 2018. The two sets of Community Health Workers have been identified as follows: Group A is a set of 4-5 Community Health Workers attached to the Dr. Ziauddin Hospital Public Health Centre in Sikandarabad, Karachi; Group B is a set of 4-5 Research Associates (and one Senior Research Associate as their supervisor) attached to the Aga Khan University Hospital Project, Naushero Feroze). The Research Associates and their Senior Supervisor will then facilitate the training of the Lady Health Workers associated with the Project in Naushero Feroze. The Health Workers and the Research Associates will be monitored for a period of three months, at which point of time the efficacy of the program will be assessed and plans for further training will be made. She is the Head of Department Oncology Nursing.Author of three international publication and research.Pioneer of establishing Oncology department at Aga Khan University & Hospital and Dr. Ziauddin Cancer Hospital. First Nurse at Dr Ziauddin hospital who took initiative and organized First Oncology nursing conference followed by second and third. First nurse who stepped out from hospital beside area to work in corporate sectors including Oil & Gas (Shell Pakistan) and pharmaceuticals (GlaxoSmithKline) on management positions. First nurse took imitative ad organized First Oncology Course for nurses in Adult Caner Nursing & Cancer Care at Dr Ziauddin University Hospital. First nurse who conducted independent clinics for stoma patients in consulting clinics AKUH after getting trained in Egypt.Represented Ziauddin Cancer Hospital on different forums including national and international level. The talk will be based on Cancer is one of the most widespread, disabling, and expensive health care conditions affecting people around the globe. Cancer survivors may suffer from a wide range of functional problems ranging from fatigue, decreased physical fitness, and psychological problems. This decreases quality of life in cancer survivors. However, in oncology setup providing rehabilitation care can improve functional recovery after treatment, hence increasing the quality of life of such patients. Cross-sectional descriptive, Interventional study design will be employed among cancer patients who are receiving first three cycles of chemotherapy. Study Setting: the study will be performed at oncology setup of Dr. Ziauddin Hospital, Karachi Pakistan. It is a tertiary care private hospital with oncology specialized unit. Study is in progress, it will be analyzed through SPSS system version 23.Cancer rehabilitation focuses on problems that patients often experience after treatment, including fatigue, unsteadiness, pain, muscle weakness, swelling in their arms and legs, difficulty swallowing, numbness in the hands and feet, and cognitive changes. Therefore, oncology team will provide an understanding of what rehabilitation therapy is and its relevance to patients with cancer to improve quality of life (QOL). Cancer, Rehabilitation, Survivorship, Chemotherapy, Nursing intervention, Exercise. Proposed Therapeutic Cycle for The Assistance in Mending of Human Limbs with Muscular Ailment. Dr. Haider Darain, Director /Principal Khyber Medical University, KPK. Impact of Resistance Exercises on Dose Response Relationship Curve in Grade-I Hypertensive Young Adult. 09:30-10:00 am Surgical Rehabilitation for Oral Cancer Patients. Prof. Dr. Azhar Hussain, Dean, Faculty of Pharmacy, Hamdard University, Karachi, Director General, Hamdard University, Islamabad. Level of Knowledge among Cardiac Nurses Regarding Sexual Counseling of Post-MI Patients in Three Tertiary Care Hospitals in Pakistan. mounting materials will be supplied. Authors must prepare all posters before hand in a form enabling easy mounting. a distance of 1.5 meter (between 16-20 font sizes). tapes will be provided by the registration desk if required. during these periods and during the tea breaks. scheduling into the program based on topics and time constraints. Fee or payment of travel/ living expenses or registration charges will not be provided. Note : Valet Parking and parking area will be available from 8.00-4.30 in front of gate 1 & 2 for all the Registered participants.